How would you like to learn about creating a chore schedule for you and your family? 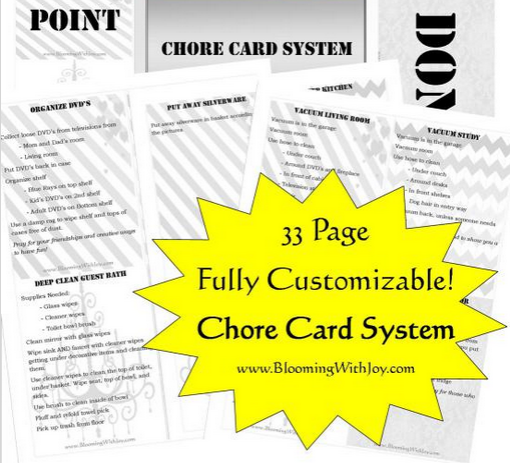 Through 2/4, you can subscribe and order a free Chore Card eBook Printable Pack from Blooming With Joy. It includes 33 pages of customizable printables to make doing chores more organized and consistent. Please note, you will need to scroll to the bottom to enter your name and email for the free chore card eBook.